Wow, I wish I could have been in the Supreme Court on Feb. 27, 2019! Justice Elena Kagan declared the good news in plain language. On that auspicious day, the Court heard oral arguments about the WWI Memorial in Bladensburg, MD. The American Legion erected the memorial on private land in 1925 to honor their 49 war heroes. In 1961, the land became state road right-of-way, so public dollars were used to maintain the Memorial. In 2014, the American Humanist Association took offense. The Memorial, you see, is the quite conspicuous 40 foot tall concrete and granite “Peace Cross.” They sued, referencing the First Amendment establishment clause and its modern interpretations. Hence the recent deliberations. I pity the legal minds untangling the confusing snarl of prior rulings. In 2005, a Ten Commandments display in a Kentucky courthouse was disallowed, but allowed on the Texas capitol grounds. In 2010, then Solicitor General Kagan argued convincingly that the WWI memorial cross on public land in the Mojave Desert could stand. 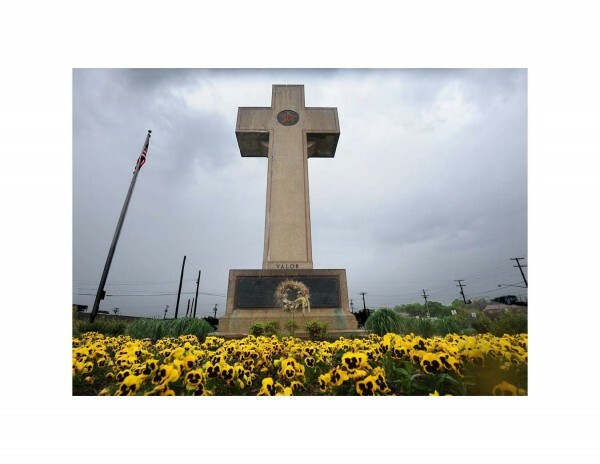 That cross was so “toxic” that officials covered it with plywood while awaiting adjudication. 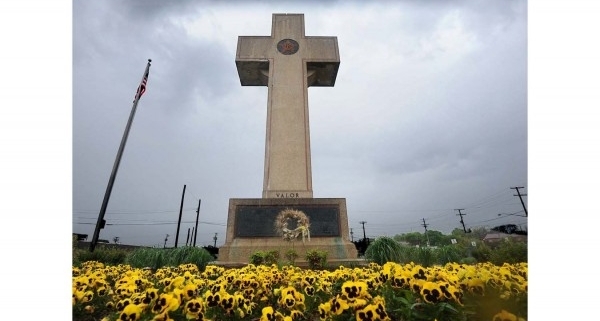 One attorney argued that the history and secular purpose of the Peace Cross have stripped away its religious meaning, as though that’s not offensive. Justice Kagan countered, “To many Christians, secularizing the cross is blasphemy.” Then she uttered these powerful words: “It is the foremost symbol of Christianity, isn’t it? It invokes the central theological claim of Christianity that Jesus Christ, the Son of God, died on the cross for humanity’s sins, and he rose from the dead. This is why Christians use crosses as a way to memorialize the dead because it connects to that central theological belief. Isn’t that correct?” Yes ma’am. I hope you believe it! Justice Ginsburg tried to frame the dilemma. “From its founding, this was an overwhelmingly Christian country. But now, we’re told that 30% of the US population does not adhere to a Christian faith.” That’s the national context that invites dissent. The cross is offensive because it contradicts today’s zeitgeist. Cultural doctrines are sacrosanct. You may pick any spiritual path since they all lead nowhere, really. Any truth or feeling you choose is a valid worldview. Follow your heart and trust yourself to find fulfillment. “No” to all that, the cross says. It says you are lost without a Savior, and beckons your trust in Jesus as the only way to the Father, true fulfillment, and eternity. When Jesus says, “I am the Truth,” He excludes other claims. Quite a stumbling block (Gal. 5:11). Even if this cross doesn’t stand, one will. God’s purpose through Christ Jesus was “to reconcile to Himself all things, whether things on earth or things in heaven, by making peace through His blood, shed on the cross” (Col. 1:20). That peace cross is beyond the reach of the courts.